The Eruv was inspected and is up for Shabbos. Please be sure to check every Shabbos that the Eruv is up. ATTENTION: The Eruv costs $20,000+ per year, and the local rabbis have established dues at $180 – a true bargain for 50 Shabboses. 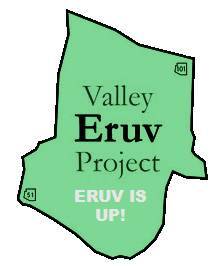 Please click HERE and pay your Eruv dues before this Shabbos. We all count on each other!